Chief Ademola Odunade, President of a Mapo Customary Court in Ibadan, on Friday dissolved a 23 years marriage between one Ayodotun Olumeka and Chukwudi Olumeka, over threat to life and extra-marital affairs. Odunade held that the society was undergoing a terrible experience in moral decadence especially among husbands and wives. 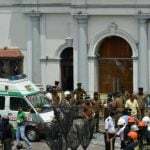 He also condemned a situation where a wife instigates the children against their father to beat him up. “The union between Ayodotun and Chukwudi has ceased to be in the interest of peaceful co-existence. “Ayodotun shall take custody of the four children produced by the union, while Chukwudi shall pay a monthly allowance of N12,000 for the children’s upkeep in addition to being responsible for their education and other welfare. “Chukwudi is also ordered to give N3000 to Ayodotun to enable her to move her property away,” Odunade said. In his response to the plaintiff’s allegation against him in the case, Chukwudi said that his wife asked his first two children to gang up to beat him. Chukwudi, who is a businessman informed the court that his greatest regret in life was his marriage to the plaintiff. “My lord, when Ayodotun’s trouble got to it climax, she told our first two children who are 21 and 19 years, to beat me and they both joined hands to do it. “It all began when I started correcting Ayodotun to stop cheating on me. “Various shapes of men come to look for her in her matrimonial home without any tangible explanation of who they are. “Her secret lovers usually come in the dead of night, 11 p.m and 12 p.m respectively, claiming they are buying phone recharge cards from her. “For so many years, I never saw my wife at home in the afternoon or evening except at mid night, when she and her secret lovers are just returning from their escapades. 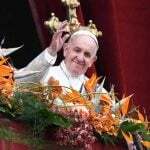 “Whenever I ask the children of her where about, they don’t give me satisfactory answer. “The recent one she did was when a car brought her home at about five minutes past 12 midnight and I saw the car drop her off. “I became so sad that I suffered depression and I left home for two months. “I have always catered for the children’s education and other welfare,” Chukwudi argued. The plaintiff had in her earlier submission cited incessant battery and lack of care, which her husband had subjected her and the children to, as reasons for her divorce prayer. “For almost seven years now, Chukwudi abandoned the responsibility of catering for the children to me. “On many occasions, the children have been sent away from school because they could not pay their fees and I had to suffer hell in the process of paying. “To make matters worse, Chukwudi beats me at will, destroying my breakable plates most of the time. “He sometimes chases me about in the house with broken bottle, thereby threatening my life. “He even came to my shop to throw stones at me. “When I became overwhelmed by his threat, I got him arrested by the police. “Chukwudi is such an irresponsible husband, a bully, separate us,” Ayodotun cried. The News Agency of Nigeria reports that Ayodotun resides at Anfani and Chukwudi resides at Felele areas of Ibadan. 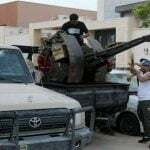 Explosions have shaken Libya's capital Tripoli following an air raid, residents said, in an escalation of a two-week offensive by eastern forces on the city held by the internationally-recognised government. 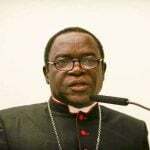 The Catholic Bishop, Sokoto Diocese, Matthew Hassan Kukah, has observed that killings in 20 out of 36 states of the federation and other abnormalities are indications that Nigeria is at a breaking point. 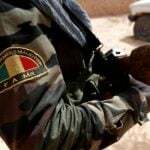 Twenty-seven suspected Boko Haram Terrorists (BHT) were on Saturday killed by troops of Sector 1 Operation Dole and Cameroonian Defence Forces in Borno State, the army said Monday morning. 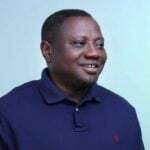 Mr Jide Olatunbosun, a member of the House of Representatives, says he is under “intense pressure” to contest for the post of Speaker of the House. 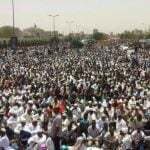 Organisers of mass protests in Sudan have told the BBC they want the full dismantling of the "deep state" left behind by ousted leader Omar al-Bashir. 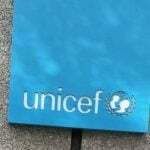 A birth registration programme implemented by the q), with support from the United Nations Children Fund (UNICEF) has increased the number of children between the ages of zero and 17 years registered in Nigeria by about 29 million. 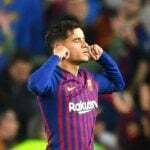 Philippe Coutinho should not have gestured to the Barcelona fans as he did after scoring in Tuesday's victory over Manchester United, according to Rivaldo.